Practice#3: How to Verify Ground Rod Installation. Practice#5: How to Verify Fence Ground Installation. 1- Determine that buried connections are made by thermite welds, brazed or approved compression connectors and the grid interconnections are approved compression type or thermite welded. 2- Verify that no mechanical connections made are buried below grade. 3- Verify that grounding conductors from one equipment unit to another have not been looped. 4- Verify that all grounding conductors are as continuous as possible and that no unnecessary connections have been made. 5- Verify if ready disconnections for test purposes are provided in grounding connections to, generator neutrals, transformer neutrals, grounding electrodes such as groundwells or groups of ground rods, switchgear equipment ground buses, and switchgear neutral buses. 6- Verify that all grounding devices and conductors are installed so that they will be protected as much as possible against mechanical injury. In frequented areas, buried conductors, 120 mm2 (No. 4/0 AWG) or less, emerging from the ground should be protected by a non-metallic conduit for 6 to 12 inches (150 mm to 300 mm) above and below grade. Conductors should be ducted below concrete or where similarly inaccessible, preferably using non-metallic pipe. 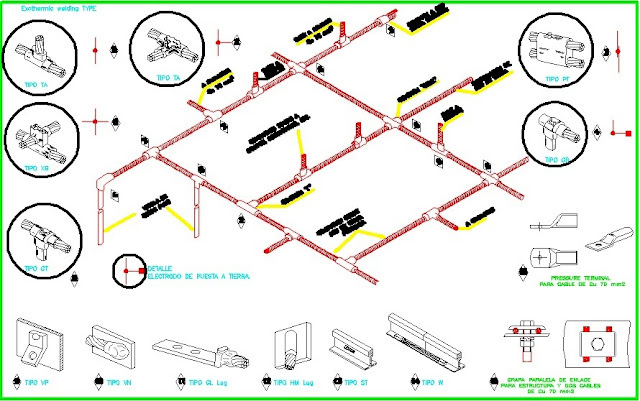 Metallic conduit and cable tray shall be grounded at each end . Make sure that these systems are electrically continuous. 7- Verify that the grounding bus forms a closed loop so that equipment ground and system neutrals tee-connected to it have 2 current paths. 8- Verify that where a site includes ground buses and ground grids in combination, and their ground resistance area overlaps, they must be interconnected by at least two conductors per bus or grid. Question#1: Buried connections are made by three different means. What are they? Answer: Thermite welding, brazing, and compression. Question#2: Mechanical connections are (choose one) 1- permitted, 2- not permitted to be buried below grade. Answer: Mechanical connections are not permitted to be buried below grade. Question#3: Looping of grounding conductors from one equipment to another is (choose one) 1- permitted, 2- not permitted. Answer: Looping of grounding conductors from one equipment to another is not permitted. Question#4: All grounding conductors should be as ………….. as possible and no unnecessary connections should be made. Answer: All grounding conductors should be as continuous as possible and no unnecessary connections should be made. Question#5: Ready disconnections for test purposes should be provided in grounding connections to what? 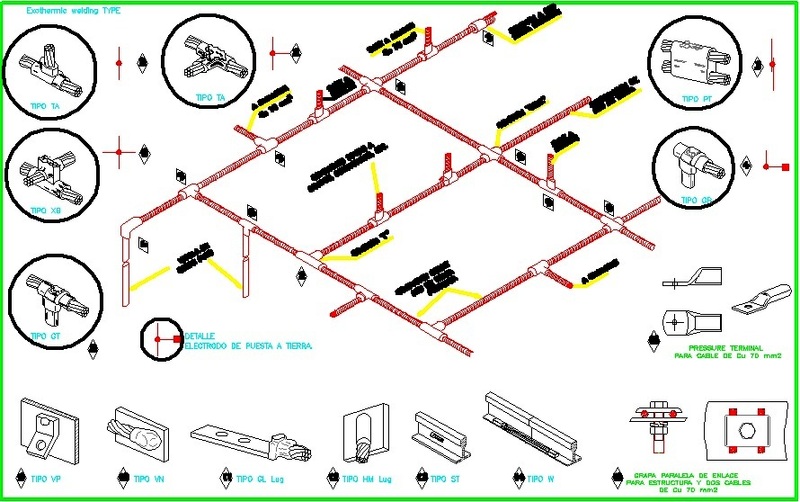 Answer: to Rods, ground wells, generator and transformer neutrals, switchgear equipment and switch gear neutral. Question#6: All grounding devices and conductors should be installed so that they will be protected as far as possible against ………………. In frequented areas, buried conductors, sized ………………… or less, emerging from the ground should be protected by a non-metallic conduit for ….. To …….. inches above and below grade. Answer: All grounding devices and conductors should be installed so that they will be protected as far as possible against mechanical damage. In frequented areas, buried conductors, sized 4/0 AWG (120 mm2) or less, emerging from the ground should be protected by a non-metallic conduit for 6 to 12 inches above and below grade. Question#7: The grounding bus forms a closed loop so that equipment ground and system neutrals tee-connected to it have how many current paths? Question#8: Overlapping ground buses and ground grid areas should have a minimum how many conductors per bus or grid interconnect? Fences that pass under a transmission line operating at 230 kV and above. 2- Determine whether the fence has been built to an SSD/1 type. If so, no grounding is required. 3- Verify that ground wells are located as shown on the drawing used for inspection and are connected to the grounding conductor. 4- Verify that the grounding conductor has a minimum of two connections to the ground grid. approximately 3ft (1 m) outside and parallel to the fence. 7- Verify that metal posts are used for the substation fence. 8- Verify that corner and gate posts are bonded to the parallel conductor and gates are bonded to gate posts with flexible connectors. Fences that enclose or cross over a ground grid. Question#2: A fence has been built SSD/1 type. What type of grounding is required? Question#3: Ground wells are usually located where? 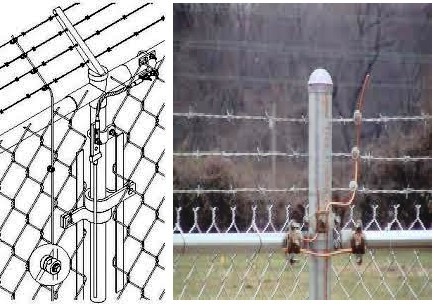 Question#4: How many connections should the grounding conductor located outside the fence area have to the ground grid? Question#5: How far should the peripheral grounding conductor be located from a substation fence? Answer: 2 to 3 feet. Question#6: A substation rated above 13.8 kV has a fence bonded to the peripheral grounding conductor at intervals of …………….. With a minimum size of ………… conductors. Answer: A substation rated above 13.8 kV has a fence bonded to the peripheral grounding conductor at intervals of 50 FEET with a minimum size of _2/0 conductors. Question#7: What type of posts are used for a substation fence? Question#8: To what are the corner and gate posts grounded to? How are gates bonded? Answer: Corner and gate posts must be connected to the grounding conductor. Gates must be bonded to gate posts with Parallel conductor and flexible connectors.